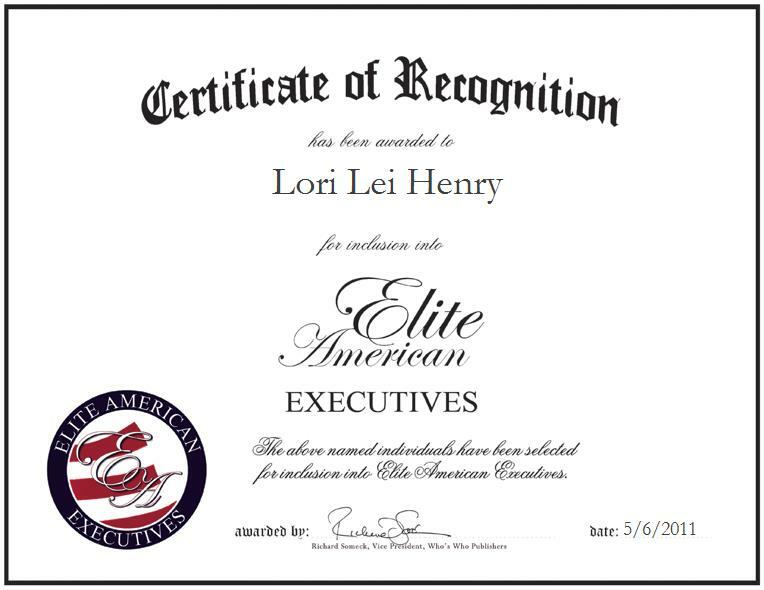 Company: Jack Henry Surgical Associates, Inc.
Oxnard, CA, April 29, 2011, Lori Henry, Practice Administrator for Jack Henry Surgical Associates, Inc., has been recognized by Elite American Executives for dedication, achievements and leadership in veterinary practice administration. Ms. Henry has been overseeing the operations of her husband’s veterinary practice, Jack Henry Surgical Associates, Inc., for nearly three decades. An expert in business administration, she handles secretarial duties, human resources and scheduling. She also acts as a liaison between referring veterinarians, clients and the practice, as well as consulting for other practices within the region. Furthermore, she utilizes her training in emergency and internal veterinary medicine by administering anesthesia when needed. Active within her professional community, Ms. Henry is affiliated with the California Veterinary Medical Association, the American Animal Hospital Association, the American Veterinary Medical Association and American College of Veterinary Surgeons. Outside of her current profession, Ms. Henry is currently writing two mystery and suspense novels, which she hopes to have published within the next five years. She would also like to further her education by completing a master’s degree, and eventually a Ph.D., in business administration and criminal forensics. Ultimately, she hopes to establish an interior design company.